Hey fellow minecrafters! This is the page for my first official mod, AbyssalCraft. 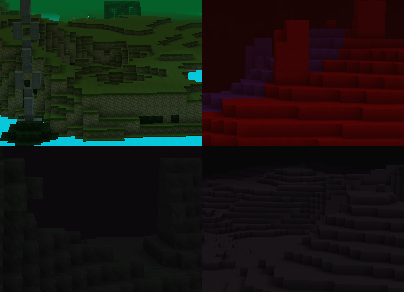 AbyssalCraft is a mod centered around exploration, but with a growing magic influence. Another thing that has been getting more focus is influences from the works of H.P Lovecraft, adding even more evil to that which is already in the mod. Most (if not all) information about things from the mod can be found in the Necronomicon. Apart from being a guide book to the mod, the Necronomicon is also serves as a catalyst for performing rituals. 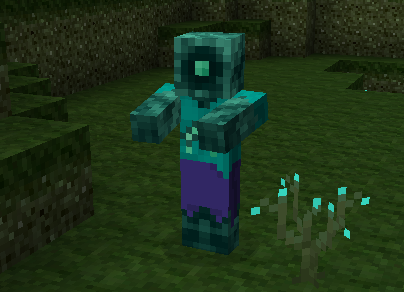 The Abyssal Wasteland (quite green, inhabited by various undead beings, among them the vanilla zombies and skeletons, then new mobs added in the mod). The Dreadlands (red, a place crawling with nameless mutated beings that may or may not have been a normal creature sometime in the past). Omothol (the realm of J'zahar, a dimension consisting of floating islands with a city built upon them, this is where you encounter the final boss). The Dark Realm (dark place beneath Omothol, populated by living shadows). In order to reach the various dimensions, one must obtain Gateway Keys (items capable of placing down portals when used). Apart from traveling between dimensions, there's also a pitch of magic, in the form of rituals consisting of an altar and pedestals which you place offerings on. There's several different types of rituals, among them rituals where you create items, rituals where you infuse items (turn one item into a different, or simply "upgrade" the item). There's also rituals where you can summon things (the first boss is summoned through such a ritual), and rituals where you can inflict potion effects on nearby entities. 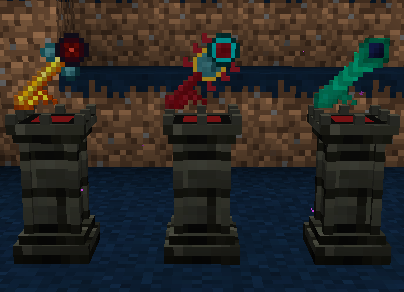 If you want to create your own type of ritual, there's an API for that, and if you simply want to add your own creation/infusion ritual, that can either be done through the API, or with MineTweaker (the add-on modAbyssalCraft Integration has MineTweaker compatibility). In addition to the rituals, there's also a new form of energy used in order to perform the rituals. This energy is called Potential Energy, and can be obtained through a few methods (this is being expanded). 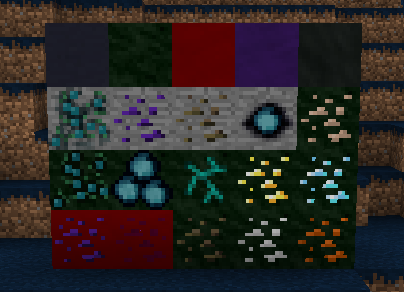 Along with all of this is also a lot of new blocks (among them 5 new types of stone, 15 new ores, 2 new types of trees), new items (among them 4 new materials to make tools and armor from, 8 new armor sets, a bunch of new food items). Since I haven't mentioned the mobs, let me go over a few of them. 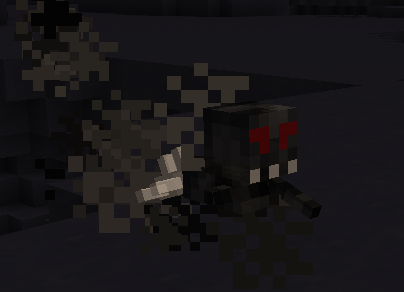 There's the Depths Ghoul and Abyssal Zombie(both undead, found in Darklands biomes, swamps, or very commonly in the Abyssal Wasteland), evil counterparts of vanilla animals (Pigs, Cows, Chickens), Living Shadows (Shadow Creature/Monster/Beast, each one stronger than the former), and Lesser Shoggoths (if you're familiar with the works of H.P Lovecraft, these are smaller versions of those amorphous horrors). 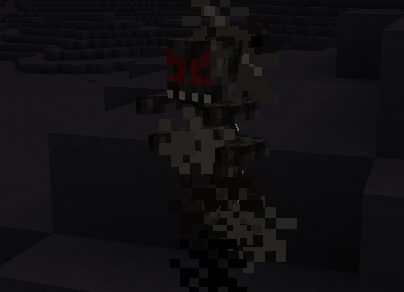 That's all the mobs found in the Overworld, whereas some can be found in the dimensions. This should cover most of the mod, the rest is up to you to discover (or you could just read about the majority of it in the Necronomicon). It should be noted that this is a Forge Mod, and requires Minecraft Forge to run. Oh yeah, the mod is also open source, and the source code can be found here. 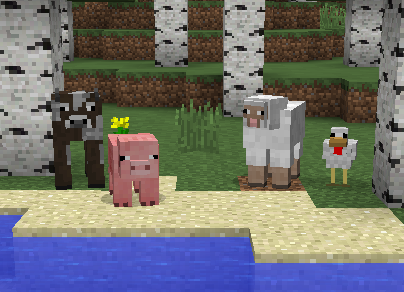 This article in the AbyssalCraft wiki covers the basics of things to do once you've installed the mod. The same information can be found in the Necronomicon (which currently isn't mentioned in the article). There also an API that you can interact with the mod through. Go do the image tab for more pictures. If you enjoy my work, ever thought about donating? I've spent large amount of time developing this mod, and any donations would be appreciated, if made. If you want to donate, either click the donate button around the top of the page, or click on this picture below, if that suits you better. 5. Credit ME, since I'm the reason this mod even exists. 6. Personally PM me asking if you could post my mod on your website, while providing me with information that shows you're also following the steps above. If you fail to follow these guidelines, I will take legal actions against you and your website in the near future. OWNER - shinoow, Original author(s) of the MOD. Under the copyright terms accepted when purchasing Minecraft (http://www.minecraft.net/copyright.jsp) the OWNER has full rights over their MOD despite use of MOJANG code. This MOD may only be distributed where uploaded, mirrored, or otherwise linked to by the OWNER solely. All mirrors of this mod must have advance written permission from the OWNER. ANY attempts to make money off of this MOD (selling, selling modified versions, adfly, sharecash, etc.) are STRICTLY FORBIDDEN, and the OWNER may claim damages or take other action to rectify the situation. Read the redistibution rules for more information. 1. On the website where the modpack is, give credits to me and include a link to either this, my Minecraftforums post or my PMC post. 2. (optional) Send me a message or comment here that you made a modpack, and provide a link to it. Follow those 2 steps, and you have my approval of including my mod in your modpack. You can find a list here. If your pack isn't listed, I suggest yelling at me and tossing me a link to said pack. 2. You are not allowed to make any revenue off of my mod. 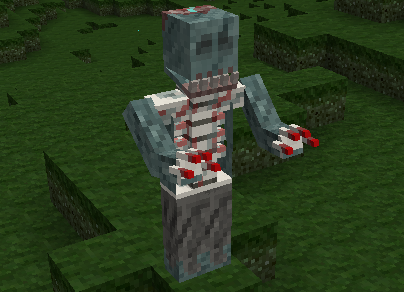 I've made a small add-on that gives you head icons for each mob in AbyssalCraft (apart from Depths Ghouls, who already has head blocks). They can be used for quest icons and other things. If you want more updates on things, follow me on Twitter or check out my Youtube channel(I sometimes post videos previewing things). That should be it so far, if you have any problems, write the errors in the comments, and as I mentioned before, I would love some suggestions for new content to add to the mod, and I don't mind feedback. Until further notice, there won't be any pictures/videos here, since I kinda failed with setting them up correctly, click here to see the official post. Hi Shinoow, is there compatibility with Dooglamoo Worlds? 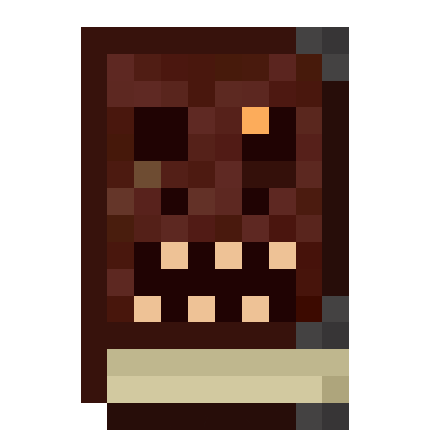 Hey Shinoow, I wanna add a mob to the Necronomicon in my pack. I need a image that matches the rest of the mob "drawing" though. So, how exactly did you draw the mob outlines you use in the Abyssalnomicon? That moment when you make a new world and the cave below your spawn has a friggin' dark offspring in it. That HELLA tripped me out man. 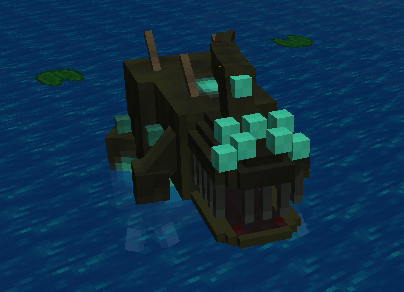 I searched forever for what mod added that thing before remembering it from HP lovecraft and going AH YES, IT MUST BE FROM THE ABYSSALCRAFT UPDATE. That thing is terrifying bruh. 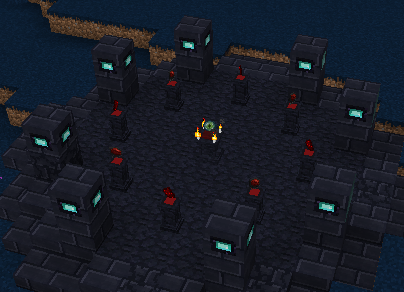 They don't spawn if you build a place of power. 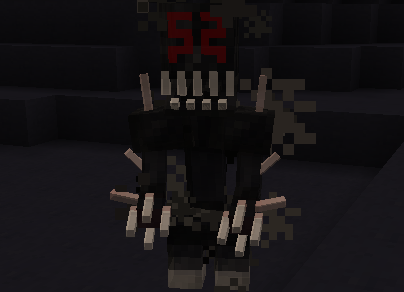 Assuming Sevtech is properly updated. You can't. Unless some mod adds tools that completely ignores whether or not you can silk touch, there's no way to harvest it. ok ill tell the modpack owner that. thanks so much. Great mod, but I have eerie ambient music playing. Can this get turned off? This mod doesn't add any music. Could be Dynamic Surroundings if you have that installed. Is there a way to disable the ritual material restriction for dimensions? Like the ability to use a cobblestone ritual setup in a place other than the overworld rather than it only being limited to the overworld. 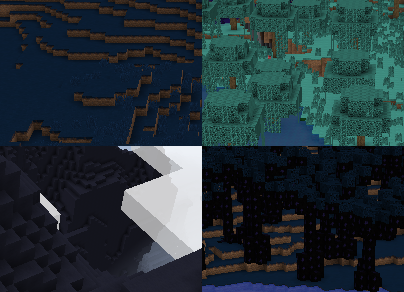 What happened to the dark blue biome with the blue grass it looks so dope but I downloaded and don’t see it? Holy crap those new Shoggots are terrifying. Cybercat5555 did a great job! I second this. It would be nice to have the option of disabling the constant droning ambient creepy sound the mod adds. This mod doesn't add any ambient sounds. Could be Dynamic Surroundings if you have that installed. Interesting. I must have spoken too soon, as I searched the mod and couldn't find the sound that was playing. However it did stop when I removed abyssalcraft which I guess means it's a bad mod interaction? I do have dynamic surroundings installed. I checked all my other dimensional mods for the sound but not Dynamic Surroundings. I will have to investigate further. Hi, did you find a solution to get rid of this problem? Unfortunately no. :( I just have to have one mod or the other disabled for the moment.